(TibetanReview.net, Jul08, 2018) – The United Nations Human Rights Council has on Jul 6 adopted a resolution calling on all states to protect civil society groups from threats and intimidation, and prosecute reprisals against them, defeating negating amendments proposed by China, Russia and Pakistan. The resolution upholds the crucial role of activists in shedding international spotlight on human rights violations, reported Reuters Jul 6. The draft text of the resolution was presented by Chile on behalf of more than 50 countries on the final day of the council’s latest three-week session. The report said amendments proposed by China, Pakistan and Russia – declaring that civil society groups must respect “the sovereignty and territorial integrity of states” and that their funding must be “legal and transparent” – were soundly defeated. He has welcomed the defeat of the amendment proposals, saying their attempts to place national sovereignty above international human rights law “would turn guarantees of peaceful assembly and association on their heads”. 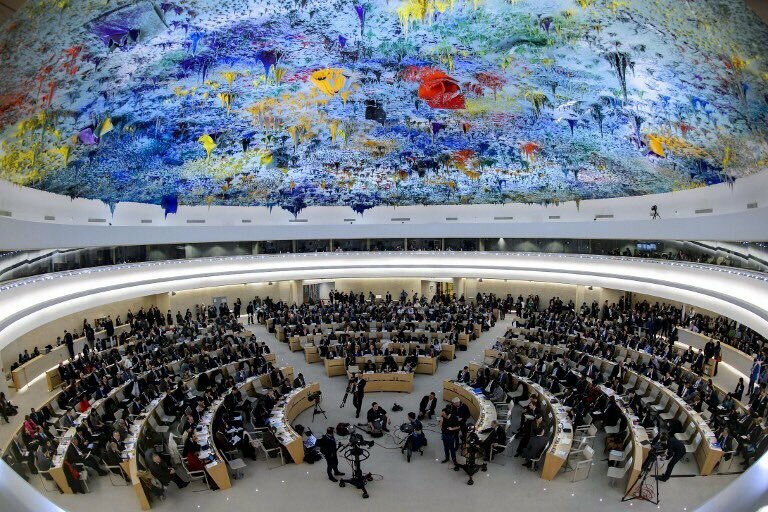 The report noted that China had featured prominently in UN reports on harassment and reprisals against domestic activists trying to bring violations to the attention of the Geneva forum, including preventing them from travelling. The report said Britain, Germany, Switzerland and the European Union backed the need for protecting space for campaigners, including online. “Civil society organisations provide legitimate channels for citizens to express their concerns about their government and on issues that matter to them,” it quoted Britain’s ambassador Julian Braithwaite as saying. Following the defeat of the amendment proposals, China abstained from voting on what it called the “unbalanced and unobjective” resolution. The report noted that at the current session China had tried unsuccessfully to block the accreditation of Uighur activist Dolkun Isa while it also publicly challenged activists speaking on behalf of Uighur and Tibetan ethnic minorities. And the report cited Council president Vojislav Suc, Slovenia’s ambassador, as saying allegations of intimidation and reprisals had emerged during the session and urged “all necessary measures” to prevent such acts.